Had another “first” with my baby boy Daniel today! Bet you 5 bucks he’d show this much enthusiasm if I said “Hey, wanna fly to the moon?” Kid did not know what I was talking about but was so excited by my excitement. Ugh ok fine, it’s ugly. Even Daniel looked at me with a WHAT.IS.THIS.MOMMY face. Self-esteem went down the drain as I looked at this cake (was supposed to be brownies but I’ll change that term to cake after seeing this…). A few metres away is the box that says Betty Crocker. I mean seriously, only I can screw up a store-bought cake mix. 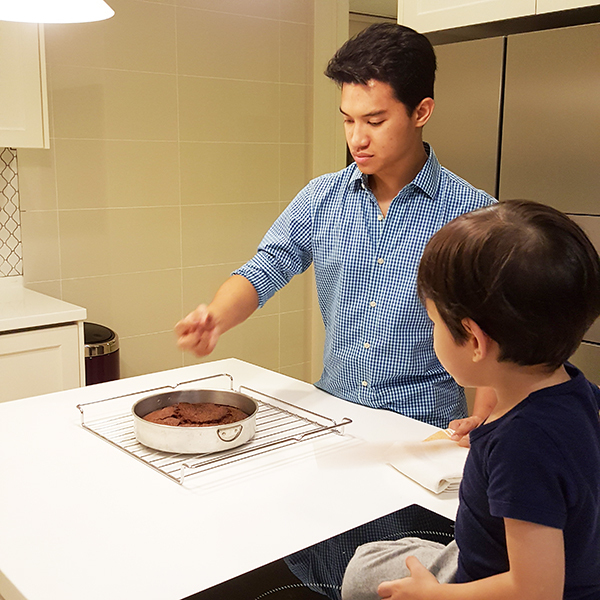 What’s more important is that I taught my son how a cake is made! I might have eliminated any baking skills that he might have had before, and crushed his big bakery dreams, if any… but still… I can proudly say to him Mommy made that. Ok Mommy, and Aunty Betty whoever she is. And he was so so cute. 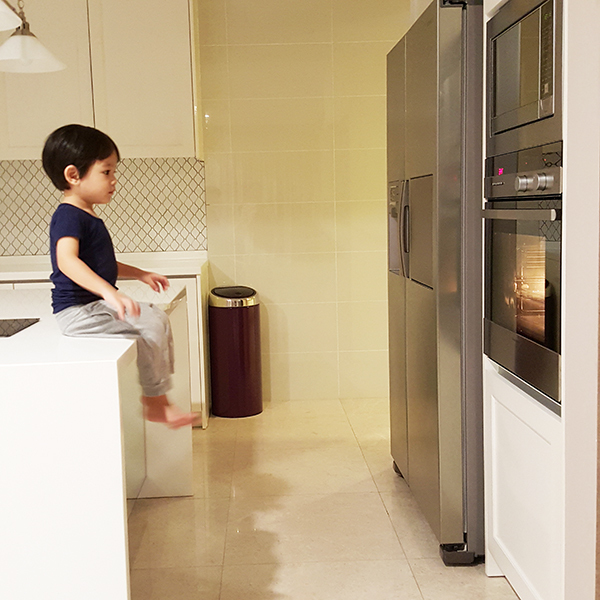 During the baking, he sat there so excited watching the cake rise. And overall, we had such a fun night. 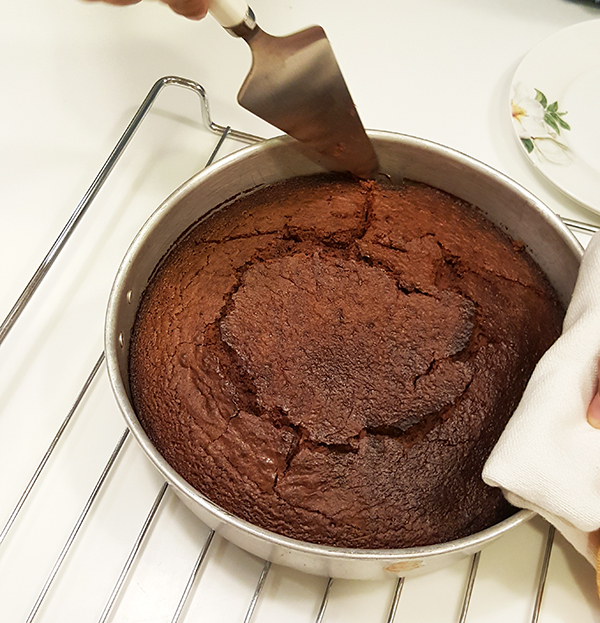 The whole house smelled delicious with the brownies (cake) aroma, we all had cake, and we even played with the batter in the kitchen (Sorry Kak Siti). Next up, I’m going to teach him how to make macarons. I know… he laughed too. Well… If I squint my eyes a bit and tilt my head to the right, I can see a heart shape on the surface of the cake! I mean brownies! I wanna learn how to make macarons too considering how expensive it is in the market. Rather make it on my own and eat ’em all! Hehehe. 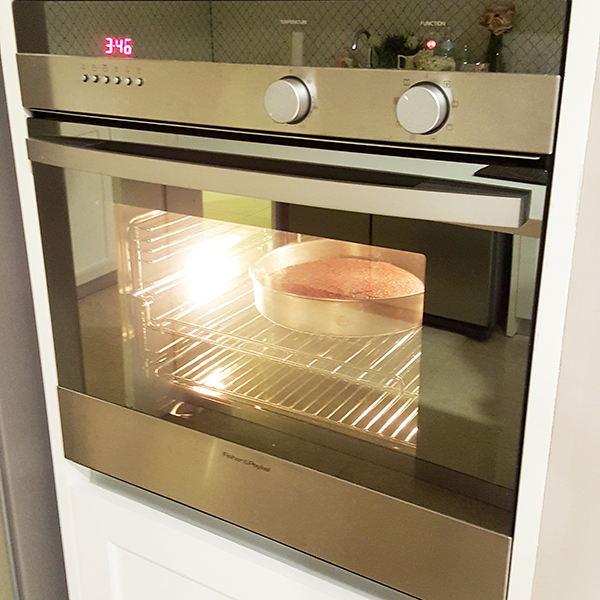 Hi Vivy, you should line your pan with parchment paper or use a springform pan next time you bake cakes. 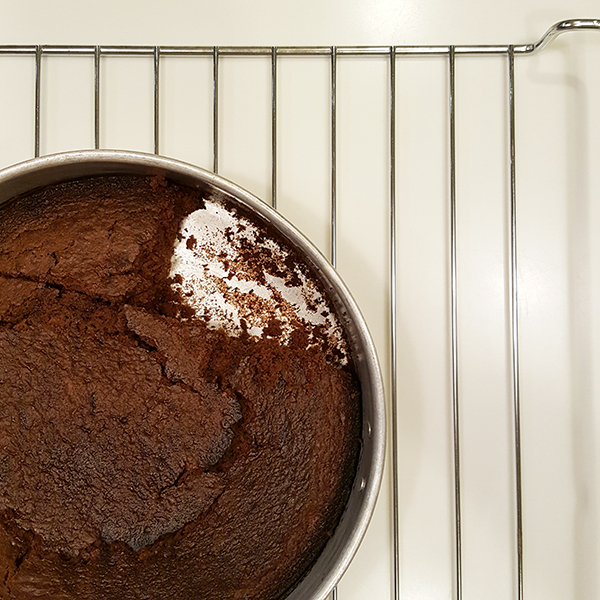 Also, for brownies, I would suggest you use a square pan so The batter is evenly distributed and you’ll get the brownie texture. You brownie/cake still looks good and I bet Daniel and Fadza enjoyed it. hahah well, i’m sure it will taste awesome with ice cream & colourful sprinkles!